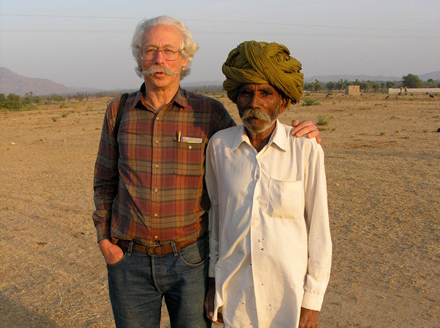 Thomas Rosin, Professor Emeritus, Sonoma State University, conducted research in Rajasthan, India over a span of 40 years. The village in Undala served as home community for both local and regional studies. His articles on land reform, peasant adaptation, computation, family structure and incremental architecture, traffic and trash appear in Journal of Material Culture , Current Anthropology , Anthropology & Education Quarterly , Cultural Survival Quarterly , and Contributions to Indian Sociology and in such collections as the American Studies in the Anthropology of India (1968), The Idea of Rajasthan (1993), Folk, Faith, & Feudalism (1995), the Encyclopedia of Vernacular Architecture (1997) and The Tao of Anthropology (2008). Awards from Fulbright and the American Institute of Indian Studies supported his work on rainwater harvesting and aquifer recharge, with the Institute of Development Studies in Jaipur, India. His initial field research was published (1987) as Land Reform and Agrarian Change; Study of a Marwar Village from Raj (Princely Rule ) to Swaraj (Independence) . 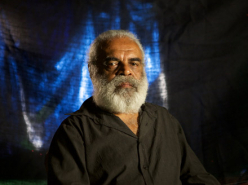 From his more recent year-long investigations across the state of Rajasthan he is presently weaving a narrative that entangles research and romance with a motorcycling adventure. With photographer Gail Wread, he has prepared three exhibits, combining visual imagery with commentary, viewed at the University of Chicago, Dartmouth College Libraries, University of Wisconsin, University of California, and Carleton College.